Last revised: April 25, 2016. The listings here are free for browsing; not free for taking. These listings were compiled with great effort by several volunteers during the past 15 years. These listings will be protected vigorously, up to and including legal action. Please do not violate the copyright on these pages. All violators will be reported to the administrators of those sites. James Madison Chapter, N. S. D. A. R.
Tinker Hollow, Terrytown, Town of Sangerfield, Oneida Co.
Resources for the location and preservation of abandoned cemeteries. 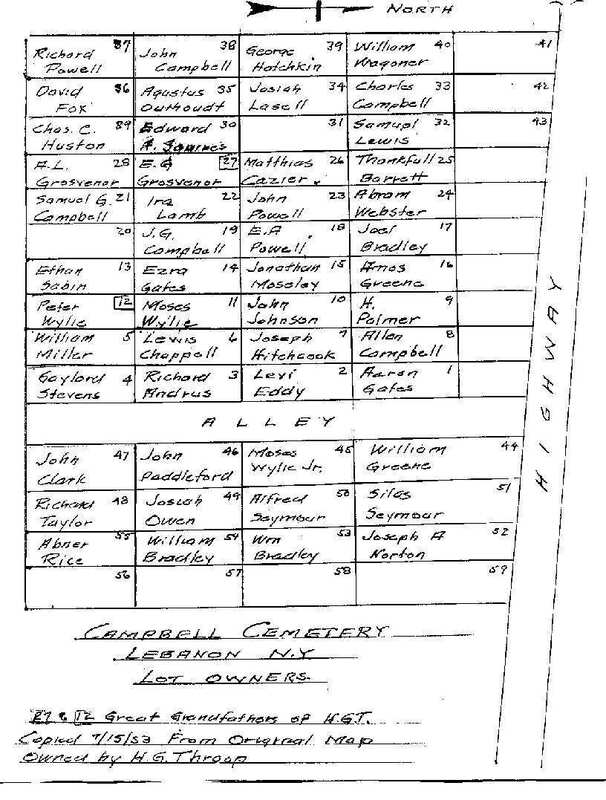 Please consider donating to the various Madison County cemetery associations to help maintain the graves of your ancestors.